Jennifer Korba, a Sabre employee who has been in a wheelchair for 26 years, uses the on-site chiropractic care to keep her overworked arms in good shape. She attributes the on-site therapy with keeping her off the operating table. Chiropractors are expert at treating conditions that affect the musculoskeletal system, and back and neck pain are particular specialties. 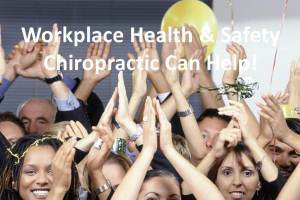 On-site chiropractic care can keep employees healthy and pain-free, reducing work hours lost to illness and recovery time.